Mr. Parry was at the time making reference to the recent local elections on Nevis in July which he said were fair and well organised. “I want to thank the Members in the precincts for their support of me the support of the government and for the great work they have done. I want to thank all the people of Nevis for taking part in a very well organised and fair election. Up to now no one has reported that there was anything amiss in the election. 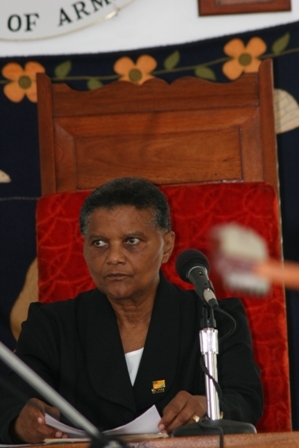 “Certainly we are pleased then to say that we have demonstrated that democracy as practised on the island of Nevis is alive and well and I expect and I ask and I seek the support of all Nevisians to put their support as we try to implement the words and ideas and concepts that were promulgated in the Throne Speech,” he said. 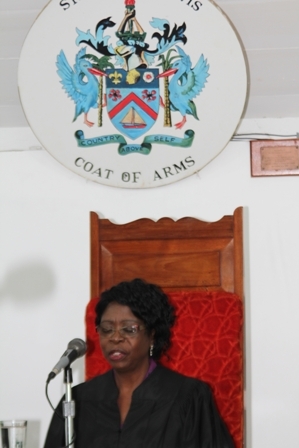 Meantime, Mr. Parry also used the opportunity to thank the newly sworn in President of the Nevis Island Assembly Mrs. Christine Springette for accepting his offer to replace Mrs. Marjorie Morton who he said had served the Assembly with distinction. “I want to say that I am pleased that you felt obligated to accept the offer and you came willingly and up to now an excellent job has been done,” he said. 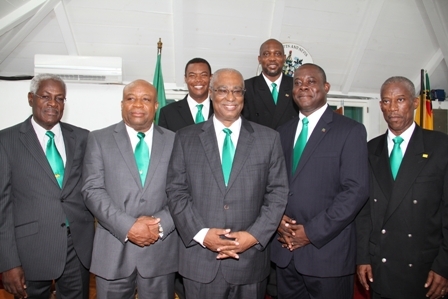 The Premier noted that it was also his expectation that for the next five years that parliamentarians would conduct themselves in the best way possible, to continue to be an example to the young people of Nevis, even as some members matured in the proceedings of the House.